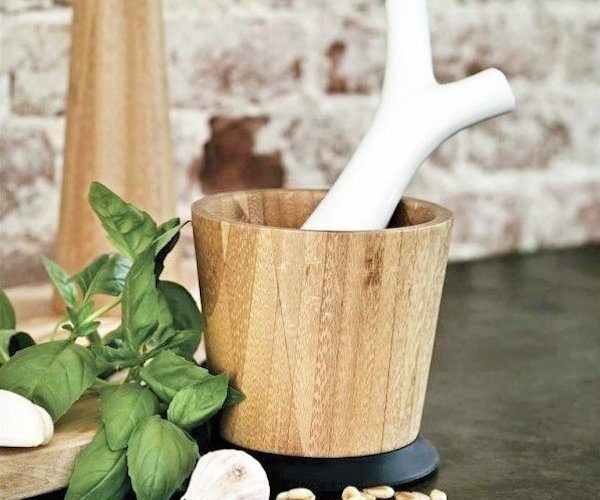 Be it for a preparation of your own pesto or for a simple task of smashing garlic or grinding herbs, the Pesta Mortar & Pestle makes sure you get to put fresh ingredients on the table at the end of the day. 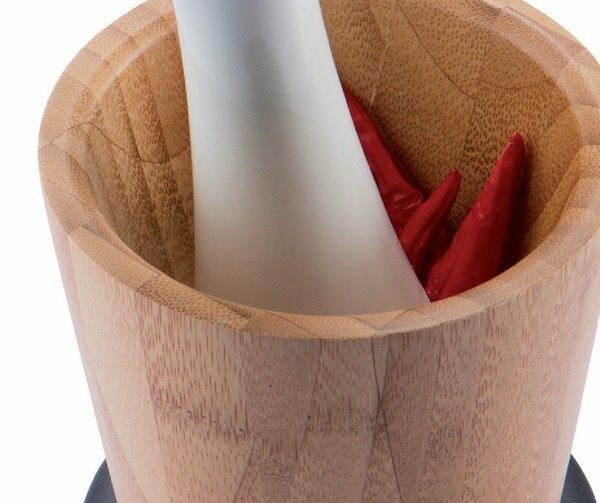 The idea of using this mortar and pestle is to retain the freshness of your ingredients. The heavy ceramic pestle has been designed in a way such that you get a firm grip and are able to give full force while you’re smashing or grinding. 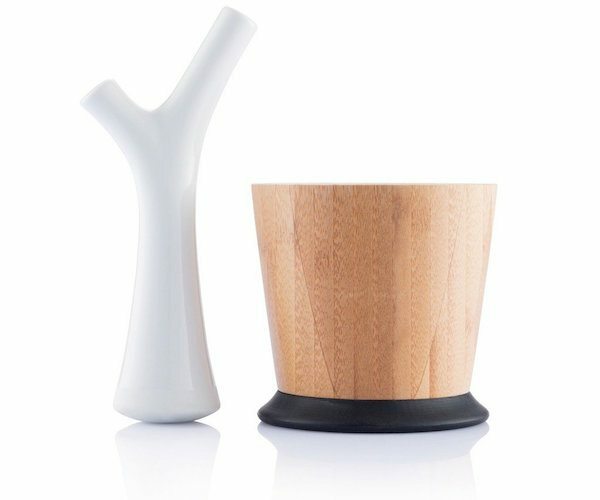 The branches-like shape of the pestle will help simulate a plant in a pot. The mortar, on the other hand, is made of bamboo and makes the product look pretty natural from that perspective. To top it all up, there’s a silicon ring at the bottom of the mortar which helps it to stay stable when operating. Grinding fresh ingredients made super easy and natural.